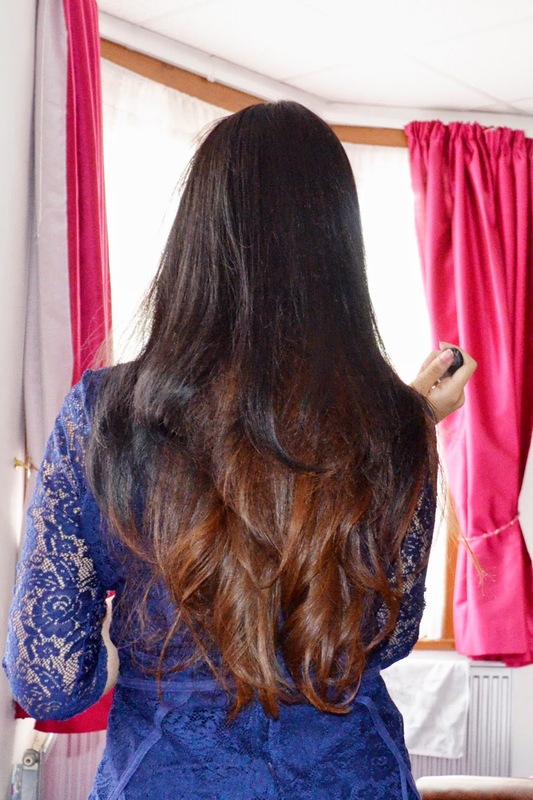 My hair has never been extremely thick, nor has it been very thin. It’s a decent, manageable thickness that I’ve generally been happy with. In recent times however I’ve noticed a significant amount of hair falling out of my scalp. Everywhere I go I seem to leave a trail of hair! I have searched nearly every inch of Google, and that’s a lot of searching!, to find something to help stop my hair loss. There are numerous home remedies and so called miracle solutions that will help but none of them really caught my attention. I decided that the best solution would be to look for a brand that has it’s roots in skincare – no pun intended! Aveda claim that their Invati product helps to reduce hair fall and to promote healthy hair growth using all natural ingredients. Big talk, right? I thought I’d try it out for myself to see if the all natural way is the way to go. In search of some more reassurance, I decided to visit an Aveda hair salon. The not so attentive sales assistant advised me that I needed to use the whole system- the shampoo, conditioner AND scalp revitalizer in order for it to work. He also stressed that the scalp revitalizer needs to be used twice a day. That’s a lot of product, and more importantly that’s a lot of commitment! I had to be realistic, I knew I wouldn’t use the conditioner so I had definitely decided against purchasing that. Considering I didn’t have a job at the time and wasn’t planning on getting one in the near future, spending that £60 on the two remaining products was a huge decision. Not to mention the fact that I have a very short attention span and bore easily of even my beauty products; hence the lack of “empties” posts on my blog! After a quick scan of my limp hair in the salon mirrors, I decided to go for it and buy the shampoo and scalp revitilizer. The packaging is pretty sleek but from a high-end brand like Aveda, it’s what you would would expect. The bottles are a pretty burgundy colour and the skin revitaliser comes as a spray top so you can spritz the product directly on to your scalp. The shampoo is surprisingly watery so remember to be careful when pouring it out. Additionally, it maybe handy to know that it barely lathers. As much I have been told, the less a shampoo lathers the better it is for you, it’s just something I feel shampoos need to have for me to feel as though my hair is completely washed. Still if it was going to help stop the fallout, I was willing to give it a proper try. Since you already know that the products are made of all natural ingredients, i’m sure you will have guessed that the shampoo and revitilizer both smell. The smell is of a very strong, ayurvedic/eucalyptus scent. It’s not one that I could really get used to and in all honesty I felt that I couldn’t use the revitilizer on a day that I wasn’t able to wash it out. The revitilizer, if used liberally and as instructed, does leave your hair feeling a little greasy too. I know, up until this point I sound like I’m moaning and I’m really not. I’d prefer to say that I’m painting an honest picture! Admittedly, I gave up on the product numerous times before I decided I would try it for a full three weeks. Unfortunately, I wasn’t willing to cooperate with how I was instructed to use the product and so here is how I used it. Sunday Evening I apply the scalp revitilizer liberally on to my head. Monday morning, I apply a conditioner to my hair 45 minutes before I shower. 45 minutes late I wash my hair using the Invati shampoo. Once I have washed it out of my hair, I use a really light conditioner just to get the strong smell of the shampoo out. I repeated this process every other day and every 3 days where possible. After 3 weeks I can finally reveal that the Invati range would score a reputable 7/10 for me. To my surprise I did notice considerable less hair fallout, and my hair appeared to be stronger. However being the fusspot that I am, the other factors that put me off this product is the extortionate price tag, the laborous commitment of having to use all three products (one of them twice a day) and most of all the strong smell of the product! 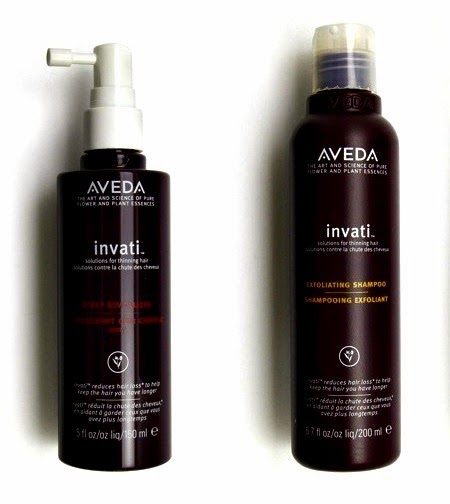 Have you tried Invati by Aveda?